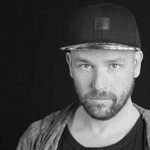 Sander Kleinenberg very purposefully defies easy definition. He is both DJ and producer, but titles fail to capture the spirit of a man with a resounding passion for club culture and the development of musical experiences in general. Sander began DJing at the age of 15 and this early choice has seen him travelling to 76 countries and counting. Lauded as one of the leaders of the first movement of superstar DJs more than a decade ago, Sander brought a mixture of quirky disco, Detroit techno, straight up soul and a serene funkiness to the ever-evolving landscape of house music, pioneering progressive house as he went. Eclectic would be a word do describe his style and it still is. Just listen to the evolution of his mixes by checking out classic mixes like the 2001 "Essential mix of the year" or more recent the S4OS series he did for 3-star michelin restaurant Oud Sluis. Just a man on the move searching for the perfect beat as he describes his passion for perfection. Never content to be cornered into classification, Sander turned to the studio to enrich his sound in favour of evolution in lieu of imitation and repetition, constantly twisting, shaping and moving forward in a never-ending quest to enrich the world of electronica. This journey brought jaw-dropping remixes for Justin Timberlake, Daft Punk, Janet Jackson, N*E*R*D, among a long list of others and original productions ft Junkie XL, Kraak & Smaak, Jamie Cullum, and upcoming amazing Gwen McCrae collaboration, Sander remained persistent in his attempts to break down the barriers of electronic music alongside artists from across the musical spectrum. And then there where classic tracks like My Lexicon, The Fruit & This Is Miami, tracks that helped shape dance music as we know it today. 2015 marks a year of renewal for Sander as he prepares to release new material and take to the road once again to bring levity and fun back to dance floors worldwide with the funkiest beats delivered by a musical journeyman with a legacy forged in equal parts on the insanity of dance floors worldwide and within the fiercely intimate confines of the studio. Representing more than 20 years in dance music, Sander has cultivated a sound that encompasses the huge arena sound of EDM while never wavering from his foundation in house music, and most importantly, great music in general. Question remains: Can You Feel It?